I really enjoyed the different character voices throughout the performance, it was also really engaging from the beginning. What other book might you compare The One Plus One to, and why? This was the first from these narrators. I did want to although being so long I was unable to, I saved this and listened to it on 2 separate plane journeys, this is something I would recommend. 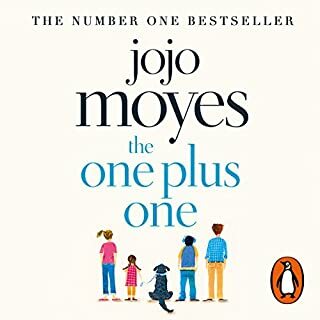 I would recommend this to others, this was the first Jojo Moyes book I have read/listened to and really, really enjoyed it. My previous thoughts were that her books were sad and quite depressing. This book was neither of these and I would now not hesitate to pick up another one of her books. 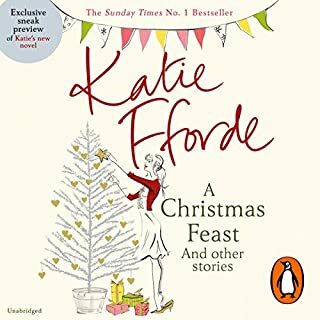 Would you consider the audio edition of A Christmas Feast to be better than the print version? I have never read the print version, however this is great in order to get your jobs done. By being a collection of short stories, I can listen to a story at a time and really get into it. The only thing I would say is that some of these stories have already been published as separate short stories, one of which I had read. I did enjoy listening to the one I had previously read. What other book might you compare A Christmas Feast to, and why? Any other festive selection of short stories. Have you listened to any of Jilly Bond and Rita Sharma ’s other performances? How does this one compare? This was the first, however I really enjoyed the narration and would look for others by them. It would have been nice to have been told that some of the short stories had already been previously released, especially for those who have the print versions. 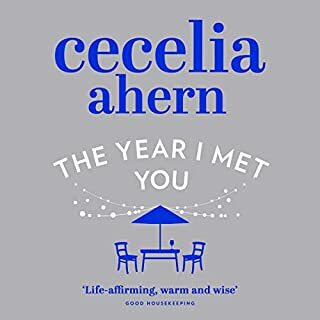 Where does The Year I Met You rank among all the audiobooks you’ve listened to so far? 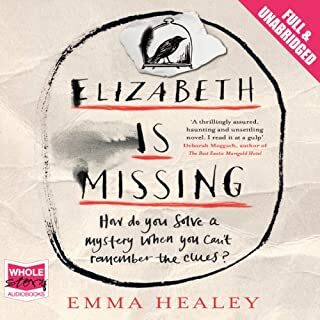 I did really enjoy this audio book, it was great to listen to during commutes, however I did find it a little slow in places and occasionally I found that difficult to follow on short journeys. So although I did really enjoy the story once I got into it, I wouldn't say it has been my favourite to listen to. What was one of the most memorable moments of The Year I Met You? I would say highlighting Down Syndrome, it has been the first audio book I have listened to, to promote disability in the way this book did. What does Remie Purtill-Clarke bring to the story that you wouldn’t experience if you had only read the book? I loved how the characters were bought to life. The accents are great in the story and the characters were easy to distinguish. I thought it was heartwarming. I would like to thank Audible for sending this in exchange for an honest review. A sad love story that will touch you at any age. Would you consider the audio edition of The Fault in Our Stars to be better than the print version? I have never read the book, I have watched the film. I would say this is one of the best YA audio books I have listened to. It was entertaining though out, I enjoyed the fact that being ill was not something to be negative about all the time and that there was still fun to be had. Which character – as performed by Kate Rudd – was your favourite? I thought Kate Rudd did an amazing job with all characters, especially the male voices. I felt that I couldn't listen to the book in one sitting as it was quite long, however I feel that I may have had a more emotional pull towards it if I could have done. I felt that the story really grabs you in. Kate Rudd did an amazing job of this. I would actually go out of my way to discover other audio books narrated by her, finding a good narrator can be tough when listening to audio books. 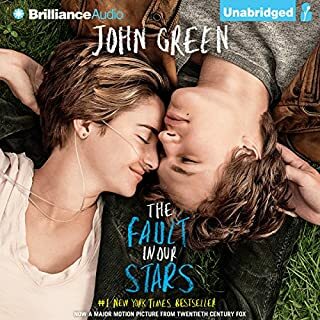 I am very pleased I listened to the audio book of The Fault in our Stars, although it is aimed at young adults, do not let that put you off. I think it will touch you whatever age you are. The performance is close to perfect and will leave you feeling very emotional. I would like to thank Audible for sending this in exchange for an honest review. I would recommend this book to a friend, and anyone who has had to deal with dementia. I found that the story was told beautifully, the narrator was perfect and the author really understands the cruel disease, which is dementia. This sensitive subject was brilliantly Tod and expressed through Maud. The narration made this story for me. The narrator was brilliant and this thought really bought the characters to life. This has been my first experience of her. I loved the story and the way it had been told. The story really touched me, I loved the different parts of Maud' s life and enjoyed reading about her in the past. I also loved the duel story going on. This kept my interest and I wanted to know what had happened to Elizabeth and Suki. I felt that I was able to begin to understand how people with dementia feel and think. It can be a very scary and confusing time for the person and the way Anna Bentinck read it was wonderful. This story is definitely one for you to get the tissues out, especially if someone close to you ever has had dementia. Twenty-five-year-old Mel Parker has a few tiny problems: Her job is terrible. She's been dumped yet again. Her ex is now her boss. The one good thing in her life has always been her best friend, Will, who has seen her through every crisis from lost toys to pregnancy scares. 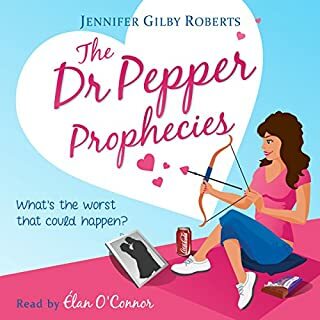 But his girlfriend (who's prettier, better-dressed, more successful, and secretly evil) is determined to replace Mel as the woman in his life, and how is Mel supposed to compete?